The Pacific Ocean covers one-third of the earth’s surface and encompasses many thousands of islands that are home to numerous human societies and cultures. Among these indigenous Oceanic cultures are the intrepid Polynesian double-hulled canoe navigators, the atoll dwellers of Micronesia, the statue carvers of remote Easter Island, and the famed traders of Melanesia. Decades of archaeological excavations—combined with allied research in historical linguistics, biological anthropology, and comparative ethnography—have revealed much new information about the long-term history of these societies and cultures. 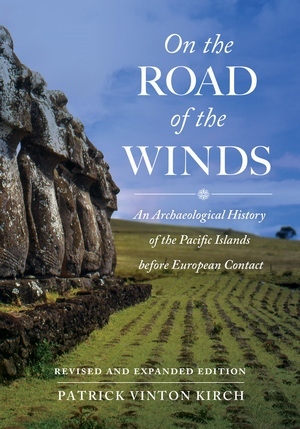 On the Road of the Winds synthesizes the grand sweep of human history in the Pacific Islands, beginning with the movement of early people out from Asia more than 40,000 years ago and tracing the development of myriad indigenous cultures up to the time of European contact in the sixteenth to eighteenth centuries. This updated edition, enhanced with many new illustrations and an extensive bibliography, synthesizes the latest archaeological, linguistic, and biological discoveries that reveal the vastness of ancient history in the Pacific Islands. Patrick Vinton Kirch is Chancellor's Professor Emeritus of Anthropology at the University of California, Berkeley, and the author of twelve books including A Shark Going Inland Is My Chief: The Island Civilization of Ancient Hawai'i and Anahulu: The Anthropology of History in the Kingdom of Hawaii.